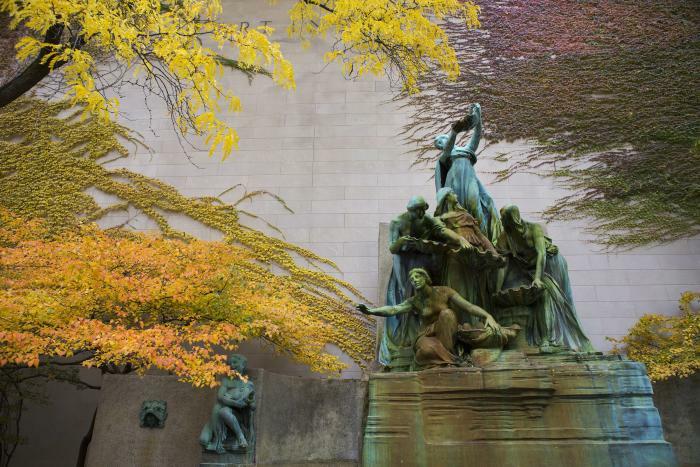 Capture the beauty of fall in Chicago at one of these Instagram-worthy, selfie-loving spots. 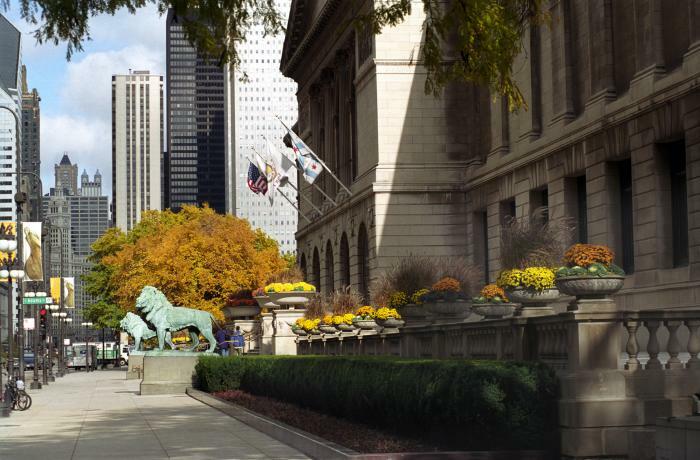 Autumn is one of the most beautiful times of year, and one of the most picturesque times to visit Chicago. 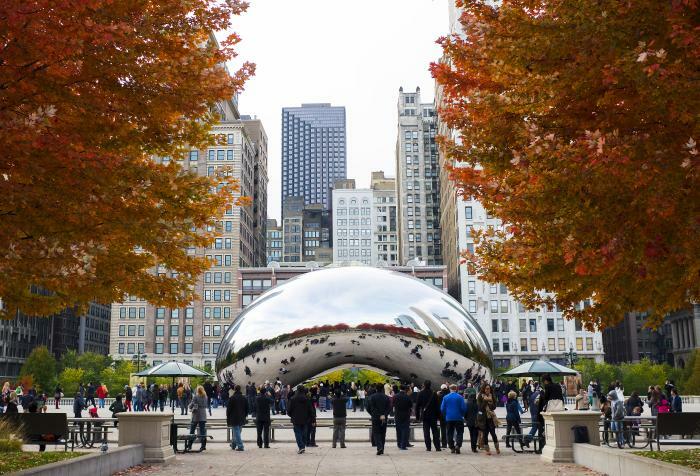 With its lakefront parks and gardens, award-winning Riverwalk, and jaw-dropping Millennium Park Campus, to name just a few of the spots, there are so many places to capture trees emblazoned in ruby and amber, fall-hued cityscapes and one-of-a-kind art installations that are so very iconic of Chicago. Here, then, are just six places for a camera-ready fall adventure. Millennium Park is a photographer’s dream, with dramatic subjects such as the reflective Cloud Gate sculpture (aka The Bean), the multimedia Crown Fountain spouting streams of water from monumental lips, the steel latticework canopy and gleaming sheets of metal that comprise the Jay Pritzker Pavilion, and, of course, the mesmerizing Lurie Garden, brimming with prairie plantings and birdsong. The Art Institute of Chicago is also part of the Millennium Park Campus, easily accessed via the Nichols Bridgeway (which extends 625-feet across Lurie Garden and Monroe Street). Its iconic lions and Italianate facade are camera-worthy at any time of year, but especially during the fall, when seasonal flowers burst from classical urns. The Art Institute also boasts picturesque gardens. Tucked away on the corner of Michigan Avenue and Jackson Street, you&apos;ll find one of our favorites. South Stanley McCormick Memorial Court is a sanctuary of cockspur hawthorn and dappled light anchored by Lorado Taft’s monumental Fountain of the Great Lakes (1913). It&apos;s an incredibly peaceful place to take those autumn snaps. 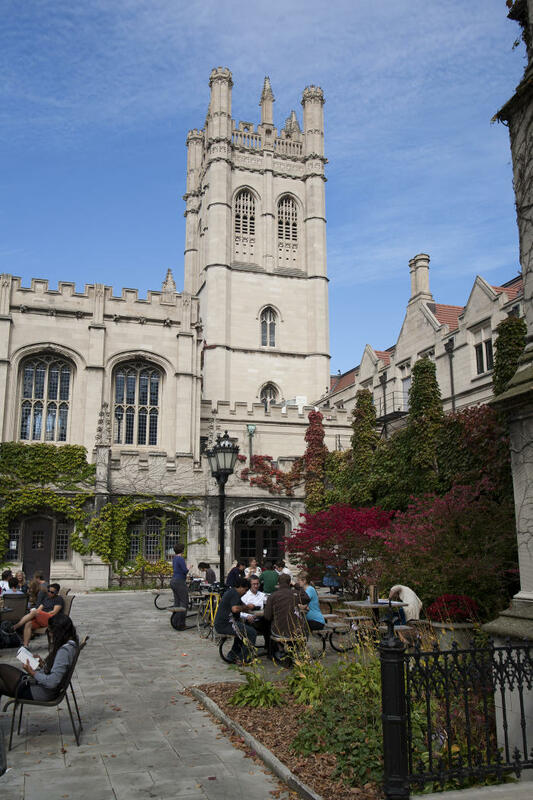 The architecture of the historic University of Chicago campus was conceived by some of the most progressive and highly respected designers of our time, including Frank Lloyd Wright, Eero Saarinen, Ludwig Mies van der Rohe, and Holabird, Root and Burgee. Predominantly what you&apos;ll see today is an explosion of ivy-covered Gothic Revival edifices that are as photo-worthy as it gets! 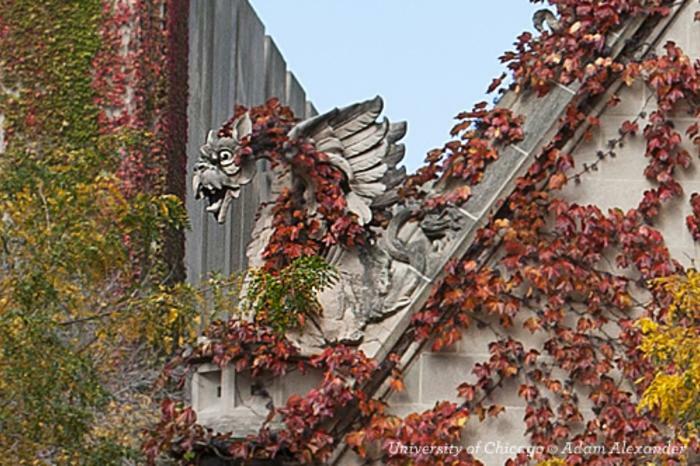 From crenelated rooftops and turreted towers to reptilian gargoyles and stately gates, you&apos;ll feel as though you&apos;ve entered an entirely different world — and another epoch — when you walk the campus grounds. 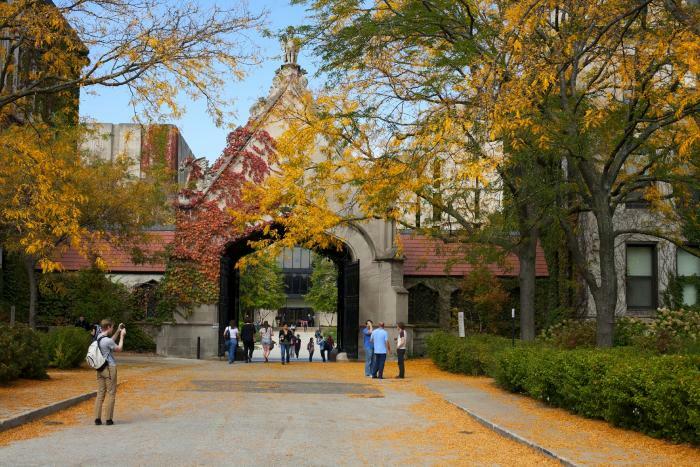 With over 1,200 acres, Lincoln Park is one of the most expansive and scenic parks in Chicago. It&apos;s home to the Alfred Caldwell Lily Pool, a true hidden gem, where a discreet Prairie-style gate accessed from bustling Fullerton Avenue gives on to a secret, serene world of ducks idling in ponds, meandering pathways and rock and timber pavilions. 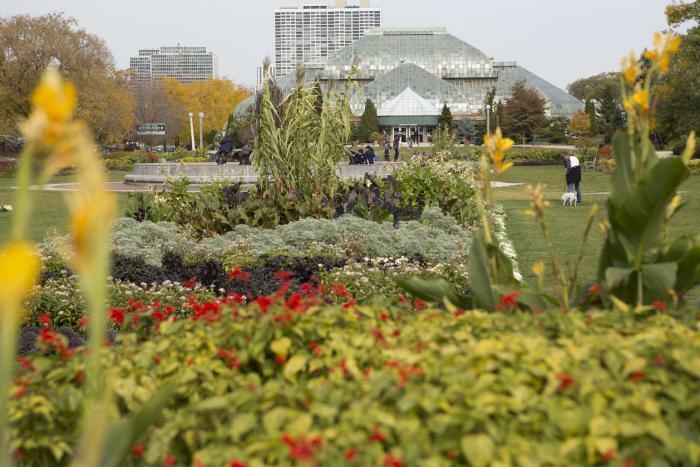 You&apos;ll also find the Lincoln Park Conservatory here, dubbed a “paradise under glass.” This FREE conservatory bursts with fragrant orchids, tropical palms and ancient ferns. 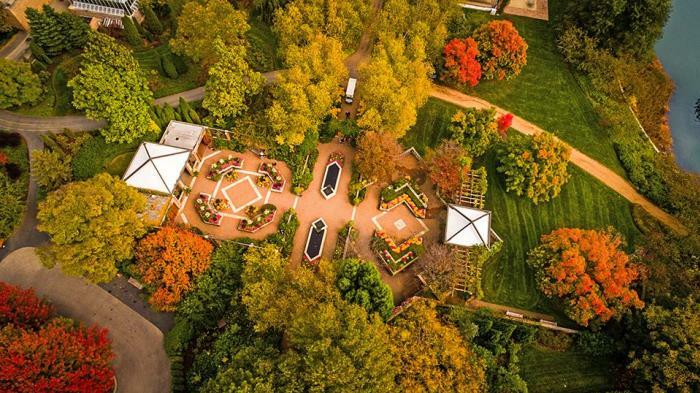 Wander through the Victorian greenhouse or step outside to capture autumn colors in the meticulously manicured formal gardens that include a monument to William Shakespeare. 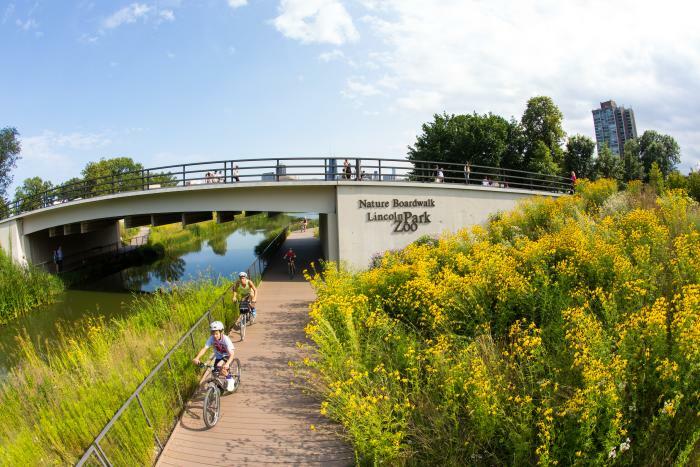 At Lincoln Park Zoo&apos;s Nature Boardwalk, you&apos;ll discover an ecological oasis in the midst of the urban landscape. The boardwalk offers a haven for native birds, frogs, fish, turtles, insects and plants. It is, in essence, a living classroom that offers cities around the globe a new model for urban conservation and sustainability, and visitors from around the world a picture-perfect fall destination. 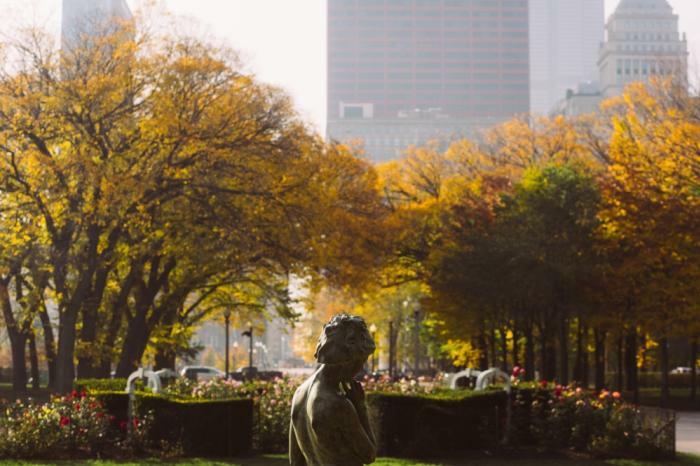 Grant Park is a 300-acre oasis of green space in the heart of downtown Chicago. Beautiful gardens shimmering with jewel tones dot the park, as do several sculptures and public art installations. Agora (2006) is a definite photo op favorite. 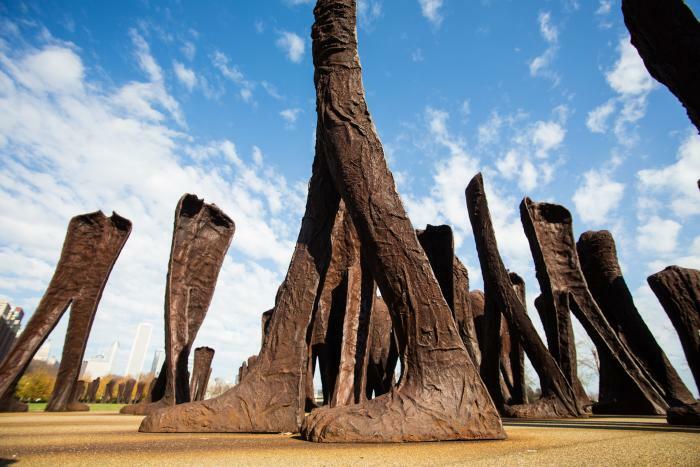 Designed by Polish artist Magdalena Abakanowicz, the installation stands on the southwest side of the Park and is made up of 106 9-foot headless and armless torsos fabricated from cast iron. The figures are stationary but posed as if moving in countless directions, providing a visual representation of the concept of going everywhere and nowhere at the same time. 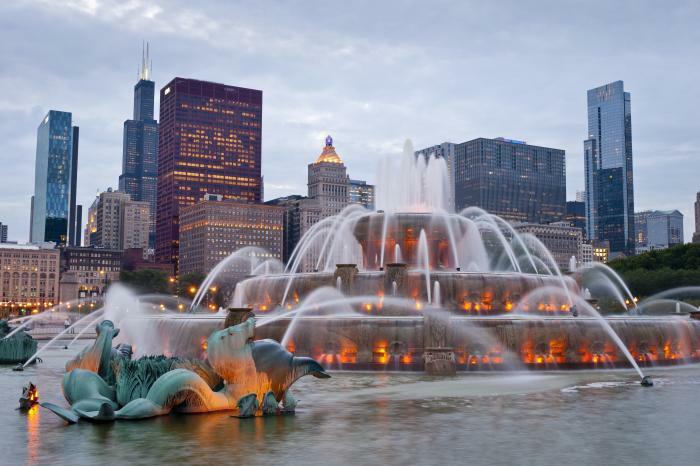 One of the main attractions, though, is the opulent Buckingham Fountain. Unveiled in 1927, this ornate centerpiece festooned with sea horses is one of the largest in the world. Catch the daily (and nightly) light and music show, choreographed with the fountain’s dancing waters and towering center spout through mid-October. An English Walled Garden and Japanese Garden are only the beginning. 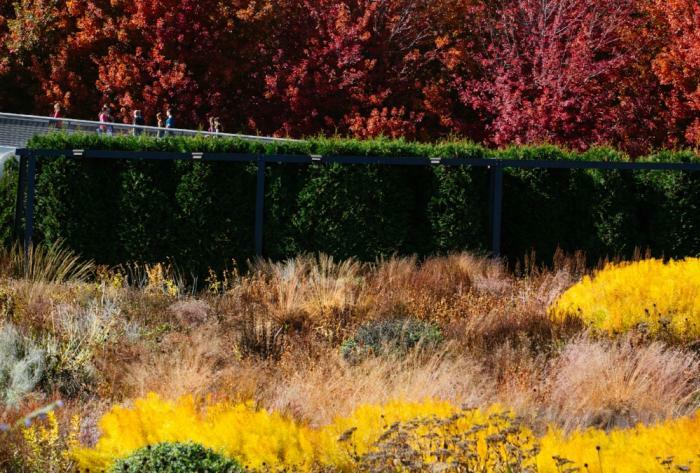 Photo ops leap at you around every hedge and shrub as you wander sensory environments such as the Waterfall Garden, Prairie, and Native Plant Garden. You can explore for hours at this exemplary Botanic Garden, located in Glencoe, Illinois, approximately 40 minutes from downtown Chicago. Check out the Garden&apos;s calendar of events to time your visit with fall-themed festivities such as Harvest Weekend (September 29-30), Autumn Brews (October 11), Spooky Pooch Parade (October 20) and Night of 1000 Jack-O-Lanterns (October 24-28). 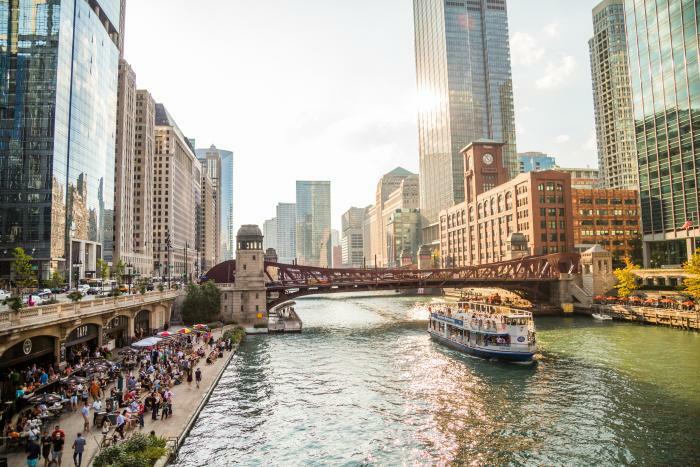 For a departure from park life, stroll the 1.25 stretch of riverside loveliness known as the Chicago Riverwalk. 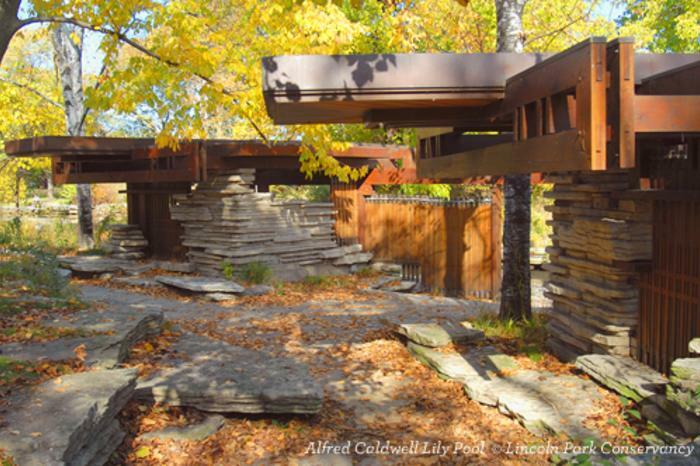 Dotted with coves, restaurants, monuments, art installations, bars, and kayak rentals, this award-winning slice of nature in the midst of a skyscraper canyon makes for incredible photos over the fall season -- both day and night. 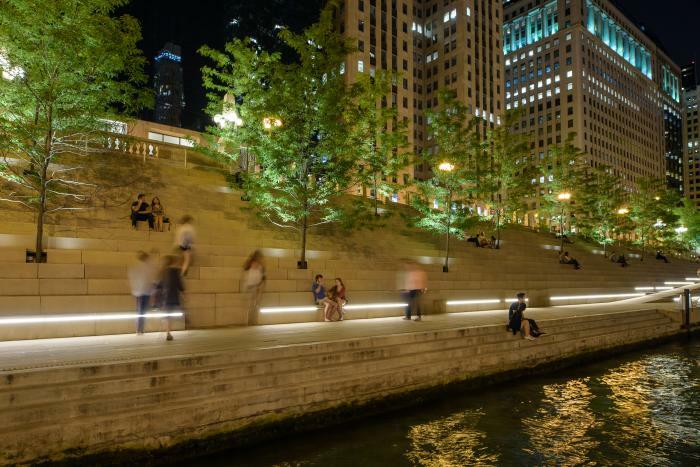 Speaking of night, not only is the length of the river illuminated, but beginning September 29, Art on theMART makes digital art history as the largest public installation of its kind. 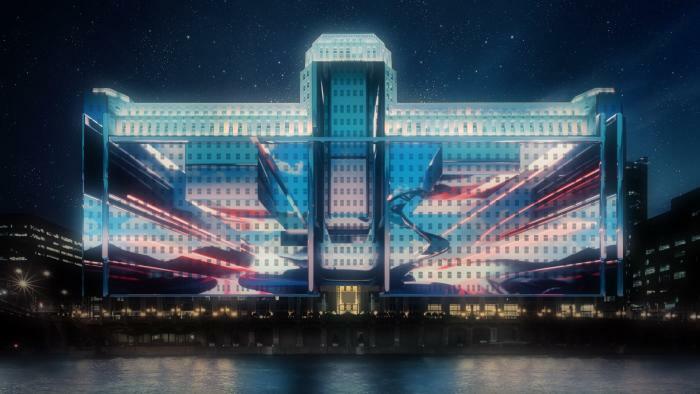 In fact, Art on theMART will use 34 projectors to illuminate the 2.5-acre river-facing side of the building – which is the equivalent of two football fields. Internationally renowned artists will display their work, from Artes in Horto – Seven Gardens for Chicago by Jan Tichy, which features the work of seven local artists for whom nature was a significant influence, to the pre-modern Daoist concepts of Zheng Chongbin, showing the ever-changing nature of energy and matter.